Travel buzzword ranking – 16 phrases you have to know to get the slang! Because, honestly, staring at your phone waiting for Google Translate to do its (granted, pretty awesome) thing is probably not working for you. Maybe it’s the lack of eye contact disconcerting all those nearly-friends. Or existential fear of the modern age – who knows. You might not be a native-level English speaker, but as long as you know a couple of useful phrases like ‘My name is’, ‘I come from’, “I don’t understand” and “Can I have…?”, we’re guessing your English is better than you let on. Google Translate is certainly a good place to start to widen that vocabulary, but we happen to know a better one… You guessed it, just keep reading. And with these awesome new travel buzzwords you are able to send the coolest postcards ever to friends and family! 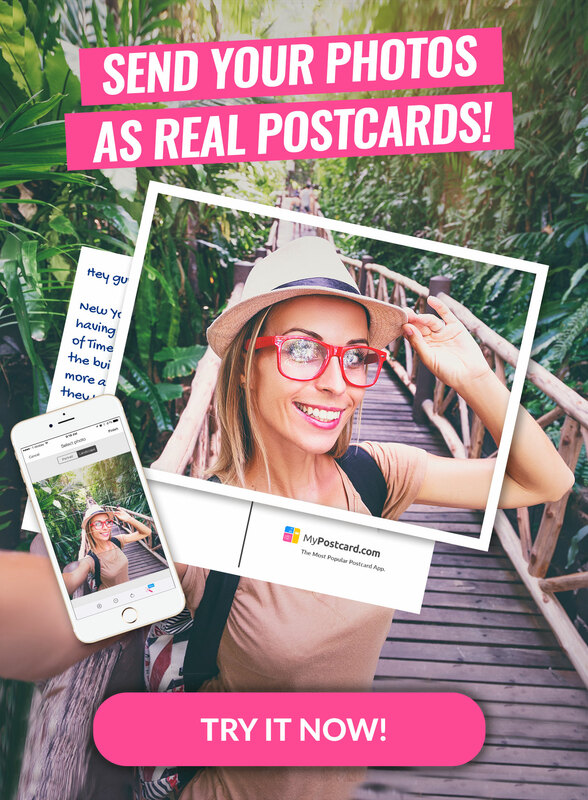 With MyPostcard it’s pretty easy: Just pick your own photos from your smartphone and create your holiday greetings with your own text. Et voila, just in 5 minutes you can send your postcards! We researched the freshest and latest travel buzzwords for you so you are prepared for your next holiday. Moreover, we wrote down some general words and phrases so you are prepared for EVERY situation. Have fun with all these phrases! “Hang out” is really one of those English phrases that is always popping up. 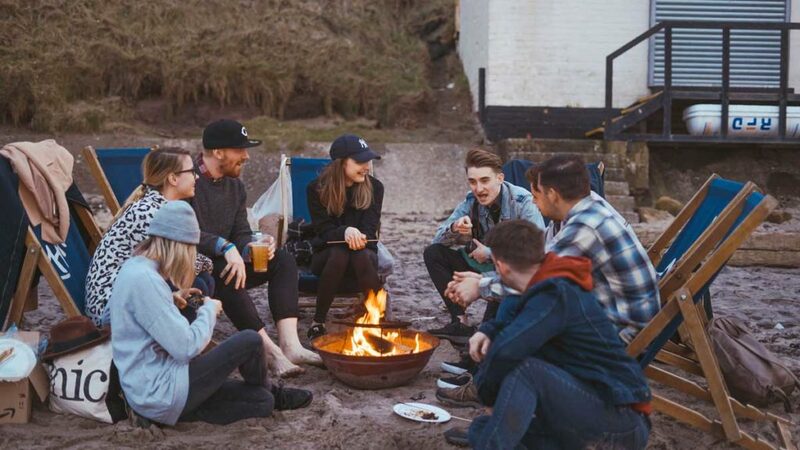 It refers to spending some time with your friends or someone you just met without doing anything particular – just chatting, chilling or playing video games together. It could be at a social gathering at someone’s home or outside. Or it could be completely unplanned. Mike: What are you up to today, Bob? Bob: I’m going to hang out at Wendy’s house. Wendy: What do you think of the party? Bob: I’m not enjoying it…. I’m ready to blow out of here. “Have a whale of a time” is used to describe having a really great time and are enjoying yourself A LOT. We’re not sure why this is…. Maybe Whales are just proper party animals? But we digress. One thing’s for sure: if you’re having a whale of a time you probably don’t want to blow out of the place. Bob: How was hanging out with Rachel? Tim: Great! We had a whale of a time! It’s more than likely that you’ll be hearing: “Oh! That’s a piece of cake” only to discover that there is, in fact, not a piece of cake to be seen. That’s because the meaning of this phrase has nothing to do with the sweet delicacy everyone loves. That’s disappointing of course, but on the plus side, if someone tells you something is ‘a piece of cake’, you can be sure that it will be very easy. Harry: I’ve got this activity for you to do tomorrow morning at work. Don’t worry though, it’ll be a piece of cake! “I am zapped” means I am exhausted. So if someone invites you for a night out but you’re too tired to join you can just say: “I am zapped. What about tomorrow?” For an exciting alternative, consider using the British word, “knackered” or “dead tired”. “To throw a party” is another way to say have a party, social gathering. Fingers crossed you’ll be doing lots of this! Tom: Hey, fancy throwing a party tomorrow morning. Wendy: Definitely! We’ll have a whale of a time! “Watching grass grow” is a way to say that something is boring. Reaaaally boring. You can use it to describe a movie, an event or a situation. A neat alternative is: “watching paint dry” – so basically a situation where you’d rather be watching paint dry. Literally. To “Have the blues” means to feel sad or depressed, a good equivalent to ‘feeling under the weather’. Many people also use the expression “Blue Monday” which means to be downbeat on a Monday – mostly because it’s the first day of the week and you have to return to work. So understandably not the best day of the week! Rachel: Sarah didn’t look very happy just now, has she got the blues? Max: I think she’s just suffering from a case of Blue Monday! Having the blues? Not a problem! Just plan your next trip and have a last-minute break. 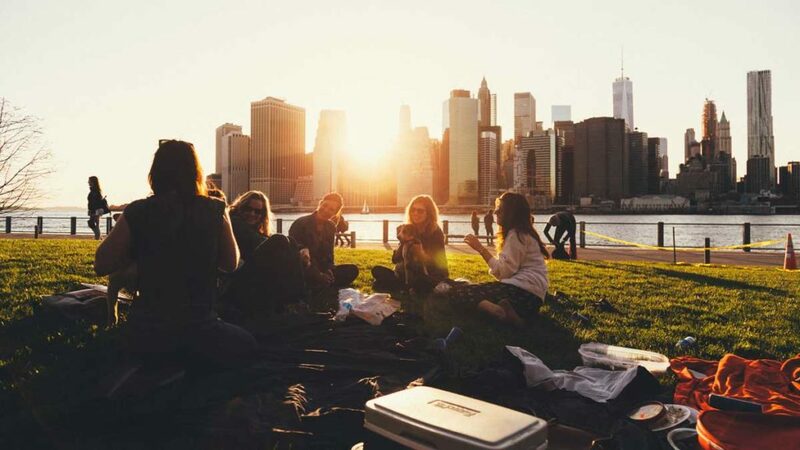 With these 10 helpful and easy tips for a last-minute citytrip you’ll have a break really soon! If you hear someone telling that you ’re driving him up the wall, things don’t look good. This is because “Drive someone up the wall” means to annoy or irritate someone immensely. Well, at least now you know what that means. We just hope it’s because you’re trying out all your new vocabulary skills on them! Clare: Are we there yet? Bob: Clare, you’re driving me up the wall! Can you stop asking that! You planned your trip or you are already in holidays? Perfect, what else do you need except these cool buzzwords? Check out these 9 Travel Apps to be perfectly prepared! Bleisure is a term that was first introduced casually in 2009 but lately we see it very often in travel articles. Bleisure derives from the words “business” and “leisure” and it refers to trips that combine business with leisure time. Who doesn’t love a vacation paid for by work? If you aren’t spending your holidays in another country or city but instead stay at home with your family or friends then you’re on “staycation” or “holistay”. Exploring nearby areas and landmarks is also considered a staycation activity. Who said there’s nothing to explore in your home town anyway? Similar to staycation, flocation is a recently-appeared travel term – only this word is used to describe holidays on water. Not bad, huh? This could mean taking a cruise or simply staying at a “floatel”. Yes, that really does exist! And in case you’re wondering what a floatel is, let us enlighten you. A floatel is a hotel on the water. Well, I don’t about you, but the term floating hotel worked perfectly fine for us. Are you looking for your perfect summer vacation spot? Have a look in our ranking with the TOP 10 summer destinations! The best about them? In the most of them you can have perfect Flocation! “Jetiquette” is a term used to describe the proper behaviour of passengers on an airplane. So, instead of saying ‘that guy in the seat next to me was very rude or annoying, just comment on his jetiquette instead for extra points. Ok, that’s an easy one. “Spafari” derives from the words spa and safari. It’s the latest trend in luxury travel and it basically means to go on a safari while staying in high-end facilities with wellness centres, pools and lavish suites. We wouldn’t say no. Hopefully, you won’t be going on a “painmoon” anytime soon but just in case you are, it’s good (or not) to know the word that is nowadays used in the travel industry for this type of vacation. Painmoon is an emotionally healing holiday people take after they just went through a difficult situation. So essentially a twist on the loved-up honeymoon which follows a wedding. “Microgapping” is taking a short break and heading to nature for a few days. 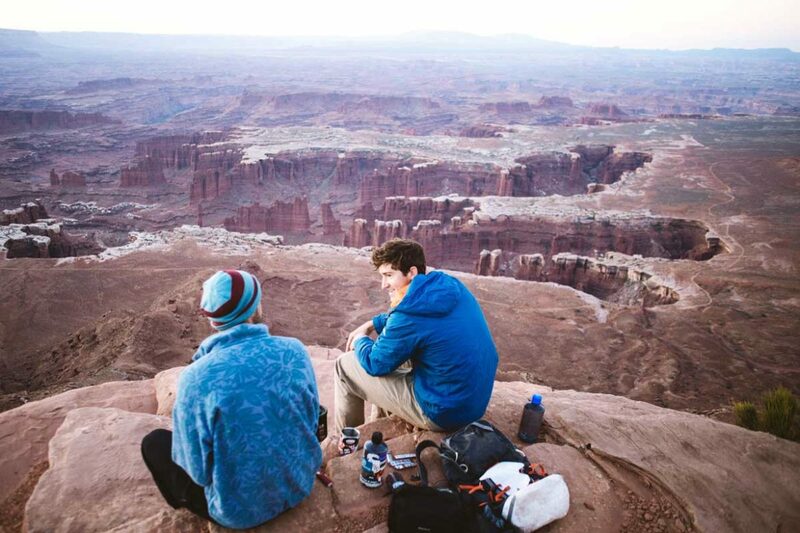 The term became particularly known after Visit England launched a £2.5m ‘Join the World – #MyMicrogap’ campaign in order to encourage British young people to explore the country’s sites. We don’t know about you, but we loved mini breaks even before they were named microgaps.